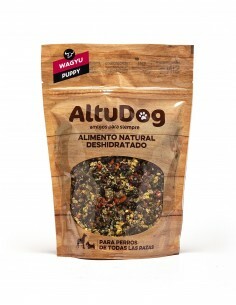 Buy this AltuDog Wagyu Menu sample so you can see if your dogs loves it! 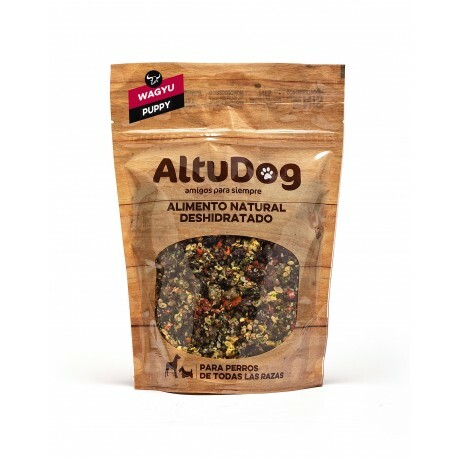 And obtain a discount of 5€ for your next online order. 1 sachets which correspond to 1kg of fresh food. 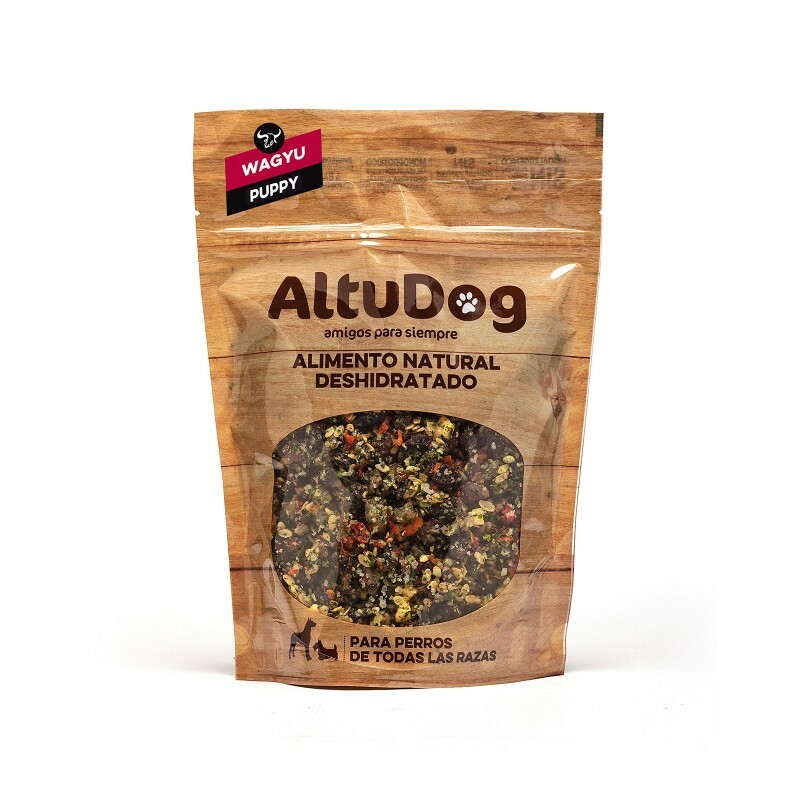 Wagyu dehydrated beef 57%, cooked and dehydrated brown rice 12%, dehydrated fruits and vegetables 15% (potato, carrot, tomato, spinach, apple and cranberry), Wagyu fat 8%, whole egg with shell 3%, Wagyu heart 2%, salmon oil, seaweed, garlic powder, turmeric and rosemary extract.